This Lovely ranch home with lots of outdoor space has a brand new roof, baseboard heat added to the utility room, new insulation in crawl space, new garbage disposal and some electrical upgrades. 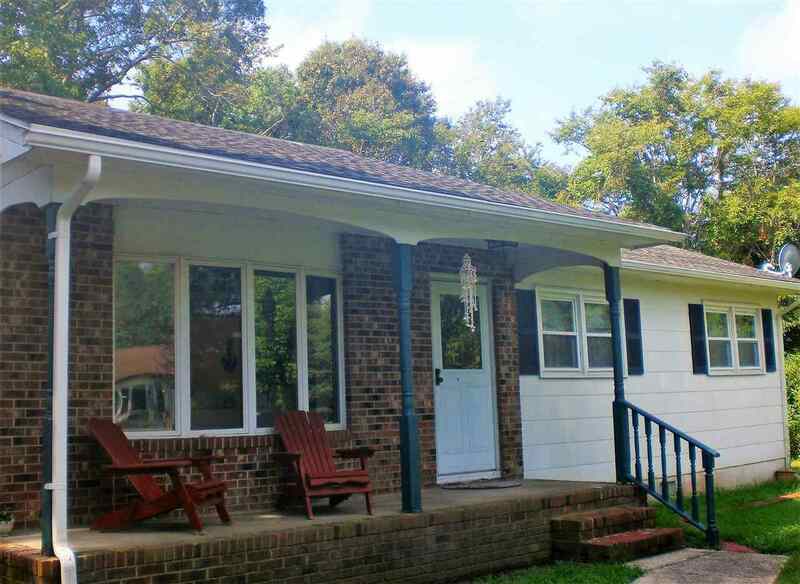 Property offers 3 bedrooms and 1 full bath along with a large living room with wood burning fireplace with air tight insert, brick mantle, and huge front picture window for lots and lots of light. Kitchen has custom cabinets with corian countertops and a breakfast bar along with a pantry and dining area with ceramic flooring. Sliders lead to a huge back yard with a 12 x 18 storage building. Back yard is fully fenced with an outdoor shower and backs up to the woods. So much privacy. Plenty of room to add an inground or above ground pool, fire pit, expanded deck and so much more for your outdoor enjoyment. Secondary entrance off of the laundry/mud room for those rainy days. Very nice area located on a cul de sac right off of Rt. 47 which makes it easy to get to the free beaches of Wildwood or Cape May and Stone Harbor. Lots of shopping and restaurants in the area as well. Perfect location for year round or summer residents. Large black topped driveway can hold 4 cars with no problem. Priced to sell some furniture being conveyed with sale. The most significant repairs have been done due to a prior contract and failed financing. The estate has invested over $13,000 in improvements and repairs. While we welcome your home inspections, the property is now being sold in "As Is" condition. Don&apos;t let this one slip away. Make your appointment today. EZ to show. Lockbox - call agent to schedule your appointment.